Dreaming is not expensive. During the long winter months in North Easter Ohio one can but dream about going to warm places. This quilt was created from one of those dreams. I was daydreaming about being in the Caribbean, why not Quitasueño, by the side of the sea under the shade of a flowering tree that was bug free. A beautiful pelican arrived to keep me company. The pieced background was created from my pattern Amazon Reflections. 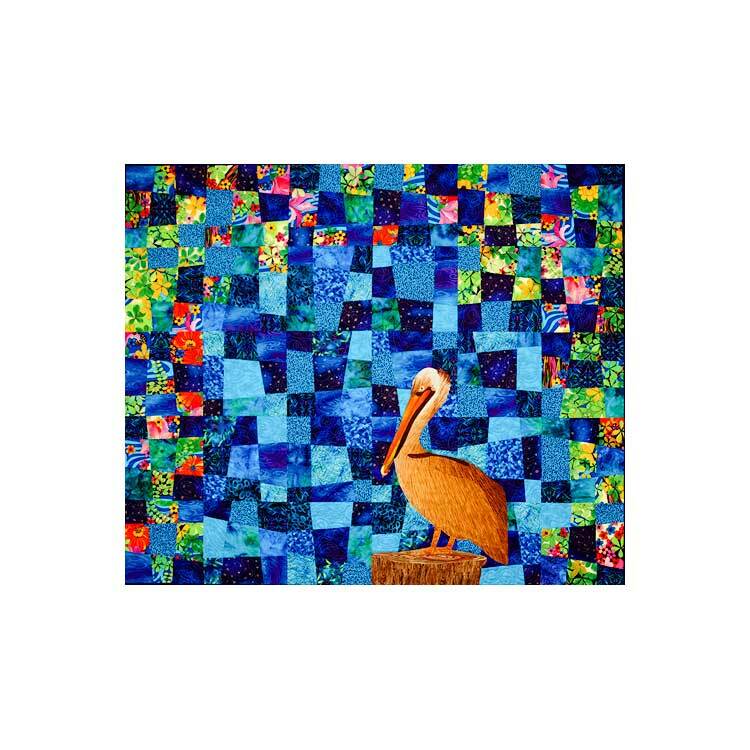 I was lucky to find the perfect fabrics for the pelican and the tree trunk which are machine appliqué. Exhibited at 37th Annual National Quilting Assocoation Quilt Show in Columbus, Ohio. June 2006. 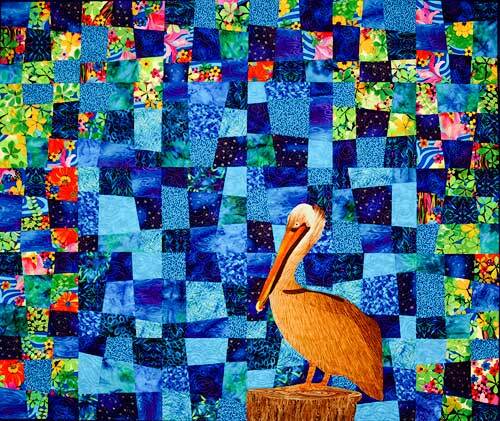 One of the judges wrote “This is the most beautiful Pelican I have ever seen”.